One of the questions that customers often ask us is how to disassemble a gas lift bar stool. It could be you’re moving house and need to take it apart to transport it in its most compact state; or it may simply be that you’ve changed your mind and wish to return your recent order to us. 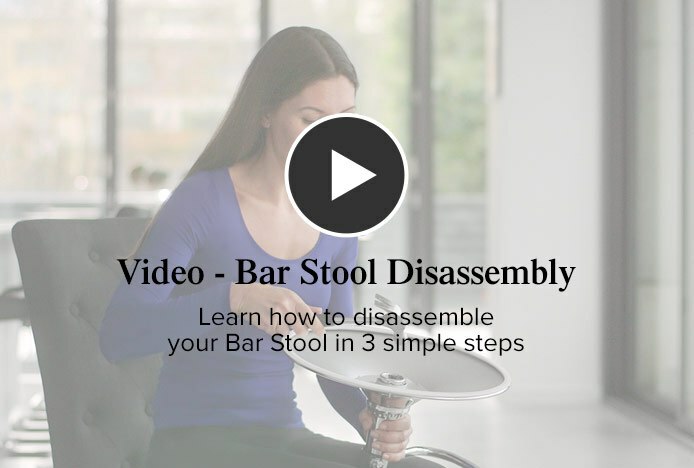 Whatever the reason, this article and video will guide you through how to disassemble a typical bar stool as swiftly and safely as possible. Typically, gas lift bar stools are held together using a series of compression joints. These will come apart a lot easier if it’s not been sat on, and the more it has been sat on, the more persuasion it may need to separate. Before you start, you might want to put something down to protect your floor. 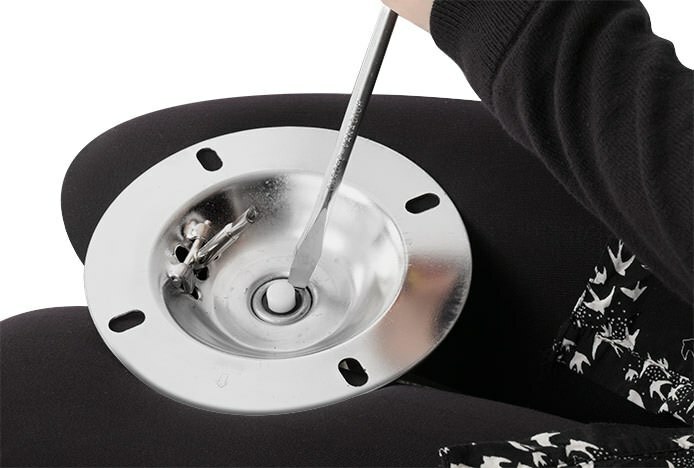 Position the bar stool flat on the floor and adjust the gas lift to its lowest level using the handle found beneath the seat. Next, unscrew the seat and set it aside to prevent any damage to it. Turn the stool upside down. Take hold of the column just underneath the base, and give the protruding end a firm tap with a hammer or a rubber mallet, taking care not to hit the black clip in the centre. The column should then slide out. If it doesn’t, try spraying some WD40 into the joint on both sides of the base. Leave the solution to work, and then try again. Once you’ve removed the base, turn the stool over and secure the column between your legs. 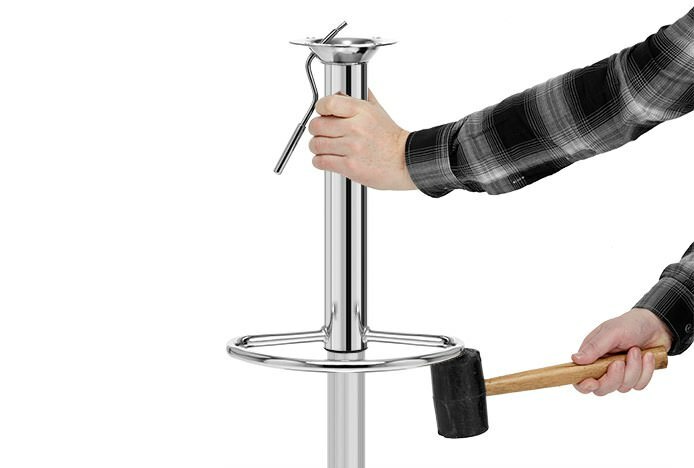 Using a flat-headed screwdriver and your hammer or mallet, carefully tap the rim around the gas-lift button. The footrest column should then slide out. If it doesn’t, try tapping the other side of the rim. This is the most effective and precise way to remove the footrest, and it should work without using too much force. Plus, tapping an area that isn’t usually visible will minimise the risk of damaging the exterior of the stool, ensuring that it remains in a good condition. If you’re returning your stool to us, take care to package the parts back into the box as you received them. Ensure each part is included and that they’re returned in their original condition. There is an alternative way to remove the footrest. However, this method does require a little more force, and works better when the stool hasn’t yet been sat on. First, adjust the gas lift to its highest level using the handle found beneath the seat. This will take the spring out of the hydraulic column. Put both of your feet on the base of the stool, and with a rubber mallet firmly hit the underside of the footrest in an upright motion. The upper part of the column will then slide off. If it does not move straight away, try tapping on either side of the underside of the footrest. Take care when doing this, as leaning in too close to the column could cause injury when it suddenly releases and springs up. 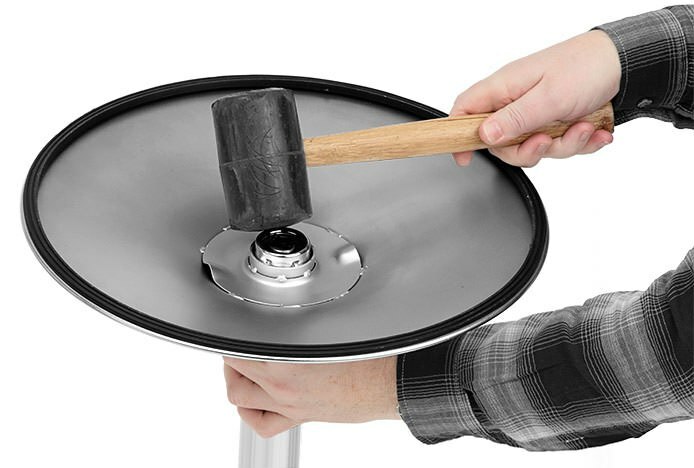 Also, if you don’t have a rubber mallet, then a normal hammer can be used instead, with a piece of wood wrapped in a tea towel in between to help to cushion the blow and ensure that the stool is not damaged. Please note: These procedures are to be undertaken at your own risk. Got questions about your bar stools? Please don't hesitate to contact us if you're still unsure; our friendly customer services team are always happy to help with any queries you might have.